Microsatellite dataset used in: Edwards, T., M. Vaughn, P. C. Rosen, C. Meléndez-Torres, A. E. Karl, M. Culver, and R. W. Murphy. Shaping species with ephemeral boundaries; the distribution and genetic structure of the desert tortoise (Gopherus morafkai) in the Sonoran Desert. 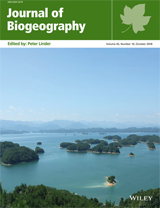 Journal of Biogeography. Mocrosatellite data scored as allelic values (repeat count). File contains sample locality information and additional data from 20 captive animals genotyped from El Centro Ecológico del Estado de Sonora, summarized in; Edwards, T. (2015) A biogeographic perspective of speciation among desert tortoises in the genus Gopherus. PhD Dissertation, University of Arizona, Tucson, Arizona USA. Aim: We examine the role biogeographical features played in the evolution of Morafka's desert tortoise (Gopherus morafkai) and test the hypothesis that G. morafkai maintains genetically distinct lineages associated with different Sonoran Desert biomes. Increased knowledge of the past and present distribution of the Sonoran Desert region's biota provides insight into the forces that drive and maintain its biodiversity. Location: Sonoran Desert biogeographical region; Sonora and Sinaloa, Mexico and Arizona, USA. Methods: We examined wild tortoises from Mexico (n = 155) and Arizona (n = 78), spanning their known distribution. We used mtDNA sequences to reconstruct matrilineal relationships and 25 microsatellite (STR) loci for Bayesian analyses of gene flow. We performed clinal analyses on both mtDNA and STR loci to determine the position and amount of introgression where lineages co-occur. We used GIS to assess the association of genetic structuring with ecological features. We used these data in a hypothesis-driven approach to assess different models of how genetic diversity is maintained and distributed in G. morafkai. Results: Gopherus morafkai was found to comprise genetically and geographically distinct ‘Sonoran’ and ‘Sinaloan’ lineages. Both lineages occurred in a relatively narrow zone of overlap in Sinaloan thornscrub, where it transitions into Sonoran desertscrub. Limited introgression occurred at the contact zone. The best-fit model suggests that these lineages diverged in parapatry where the distribution of genotypes is environment-dependent and introgression is inhibited by exogenous selection. Main conclusions: The historically shifting ecotone between tropical deciduous forest and Sonoran desertscrub appears to be a boundary that fostered divergence between parapatric lineages of tortoises. The sharp genetic cline between the two lineages suggests that periods of isolation in temporary refugia due to Pleistocene climatic cycling influenced divergence. Despite incomplete reproductive isolation, the Sonoran and Sinaloan lineages of G. morafkai are on separate evolutionary trajectories.